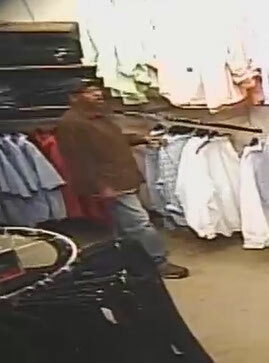 Calcasieu Parish Sheriff's Office detectives are investigating a theft that occurred on January 28 at Dillard’s in the mall located in Lake Charles. During the investigation detectives reviewed video surveillance from the store which showed a man placing a large amount of name brand clothing in a white bag and leave the store. The man fled east across the mall parking lot. 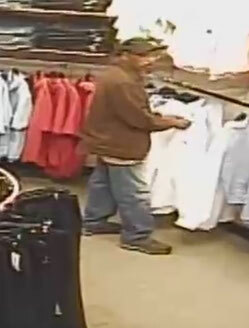 Store associates estimate the man took somewhere between 30 to 50 pieces of clothing from the big and tall section, totaling approximately $5,000. If anyone has any information regarding this theft or can identify the man seen in these photographs, please contact CPSO lead Detective Chad Collins at 494-4539.